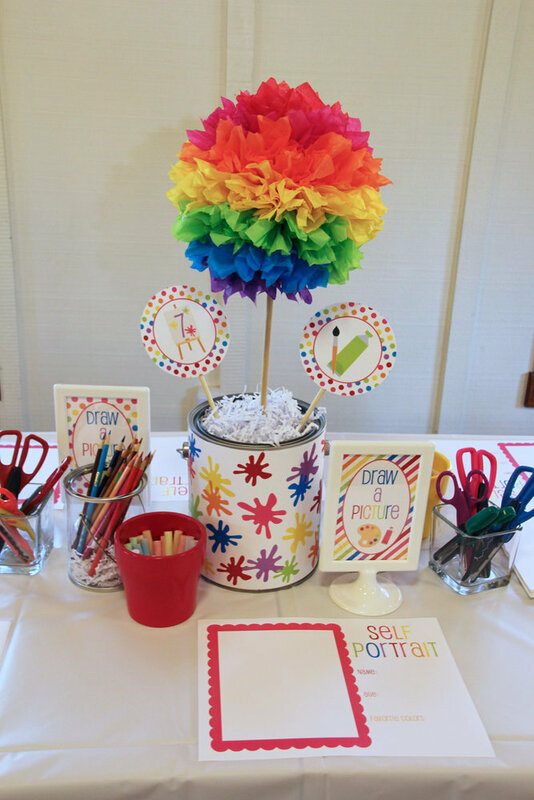 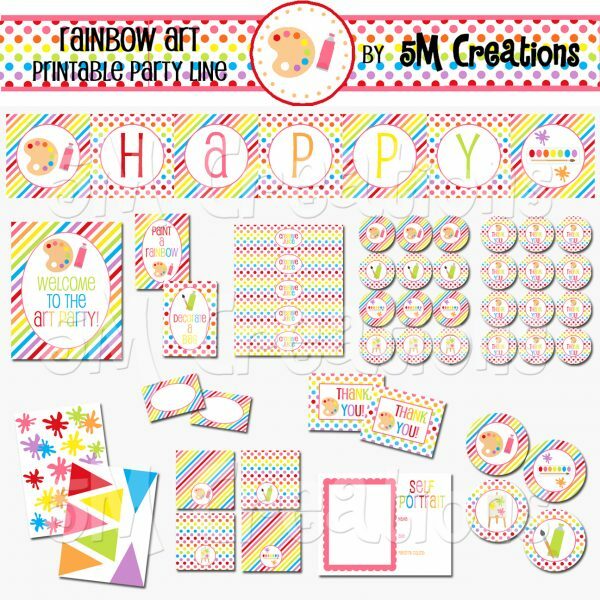 Our Rainbow Art Birthday Party Package features rainbow colors in stripes and dots and cute art images. 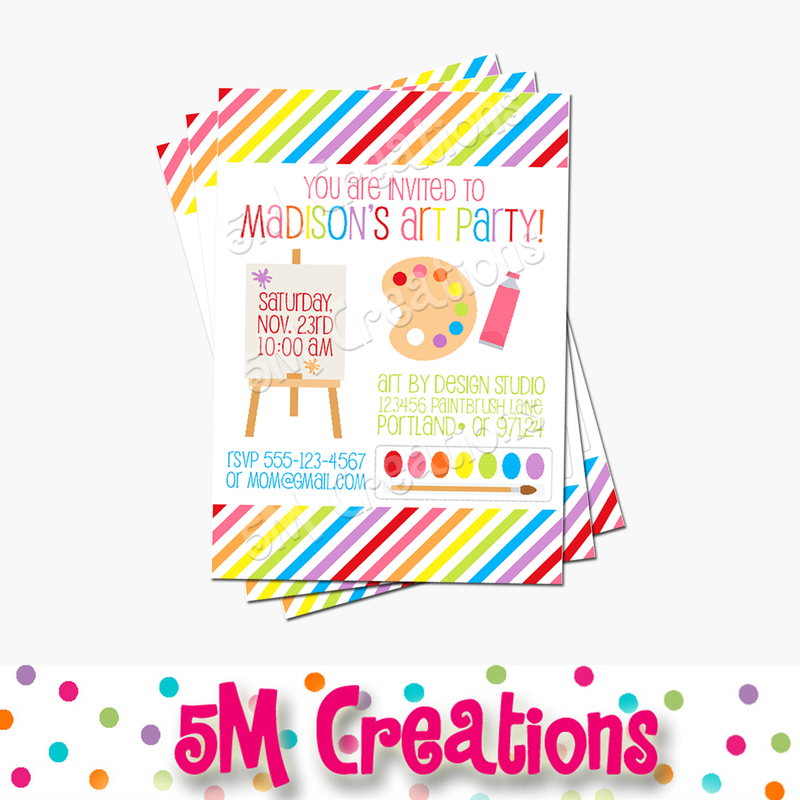 If you are hosting a paint party this is perfect for the little artist in your life. 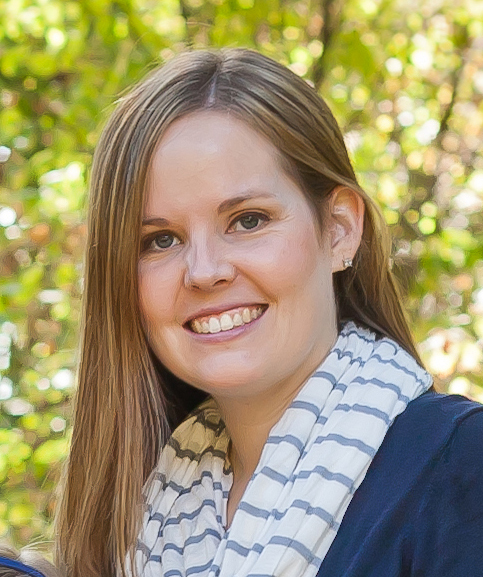 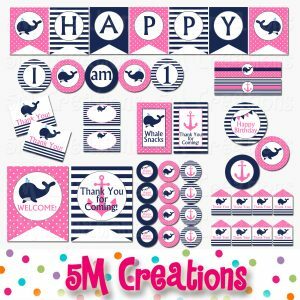 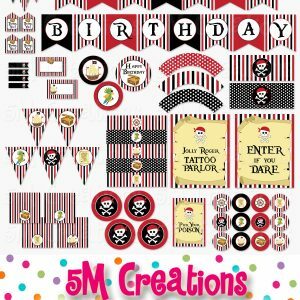 This listing is for digital files of our Art Party Decorations. 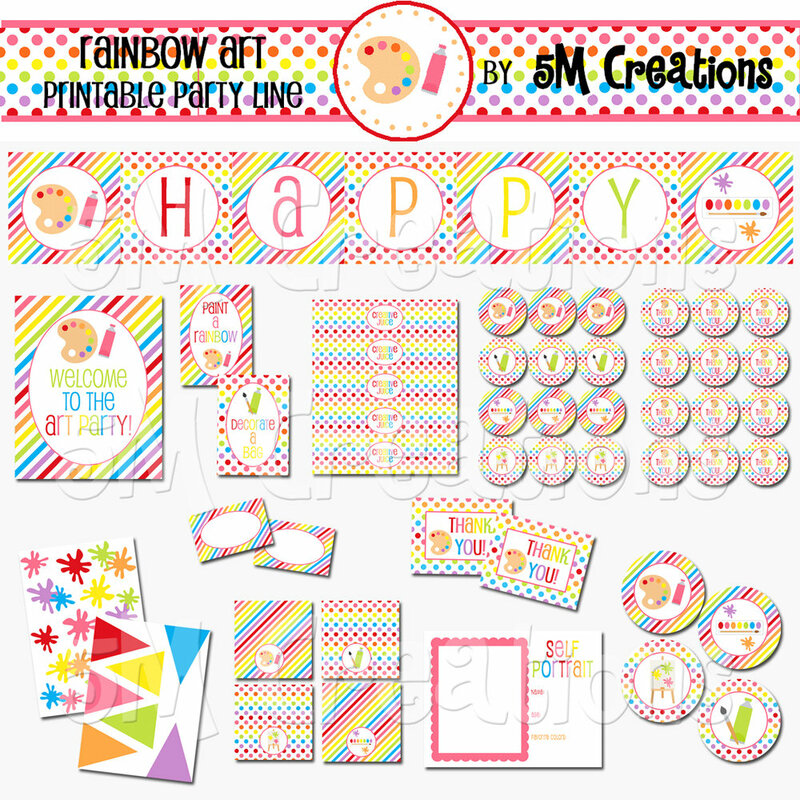 You will receive high resolution files of each of the items listed below.